It is Saturday night and I have just returned from the final concert of the season for the Victoria Symphony Orchestra’s 35th season. I had heard several good things about the Symphony and Music Director/Conductor Darryl One – it is all true. This was one of their Master Series featuring guest artists. Yuqing Meng, the 2007 Davidson Fellow, was born in Shanghai China and begun his musical studies at age 4. By the age of 12, Meng made his orchestral debut with the New York Philharmonic. He was the featured performer for Tchaikovsky’s Piano Concerto #1 in B-flat minor op.23 and his skill was amazing. There was also a organ symphony that really just dragged on and wasn’t all that interesting. Overall though, the night was a lot of fun and even included reconnecting with an old professor of mine from the Victoria College days. Professor Michael Hummel taught History and Western Civilization, and was one of the most entertaining lecturers I remember from that period. 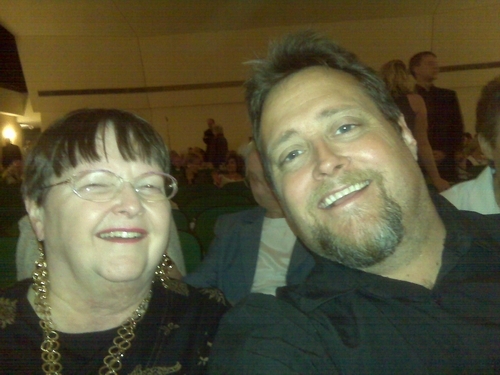 Prior to the symphony, I went to “The World Goes ‘Round” presented by Texas State University with my mother and Hap. The show featured classics from the famous musicals “Chicago,” “Cabaret,” “New York, New York” and many more. This was the highlight of the weekend as the talent of all the student performers was brilliant. The music was great, the story was great, the voices were great – the evening was superb. Shrek: They Finally get it right!